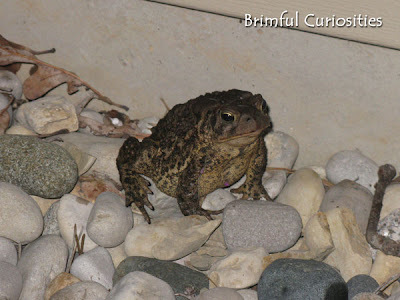 Brimful Curiosities: Wordless Wednesday - Do Princesses Kiss Toads? i used to think that very same thing! i would see my brother playing with frogs and really wonder.... lol!! Wow that thing is HUGE!! Very cute...sneaking a book into your WW! 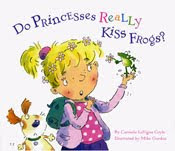 In our house, princesses aren't allowed to kiss toads until they get married ;). Great picture. The frog on those rocks looks great! Nice shot of the toad. thanks for the book recommendation. How cute! We have two ponds close to us so there are tons of frogs around here and they make a racket in the summer. That is so lumpy and warty looking and HUGE! I have totally kissed toads. We used to catch them all summer long where I grew up. :) Cute!! Now that is one really cute toad! I can see where your daughter would be tempted to kiss him! LOL! Hopefully she actually won't! Be sure to stop by Roads to Learning for my special back-to-school giveaway during the month of September! That would be so cute if she tried to kiss it!....if it makes me a princess, I might give it a shot! Quite the warty looking thing! LOL! Frogs are such interesting creatures. Great pic! How can you be sure unless you try it? I guess I'll always be left wondering! Cool pic! What a huge frog. how sweet. I wish it were true. Whata big toad....!!! and thanks for the book recomendation..
LOL, No way could I bring myself to kiss a frog now, but maybe I would have when I was young. Kids will try most anything.